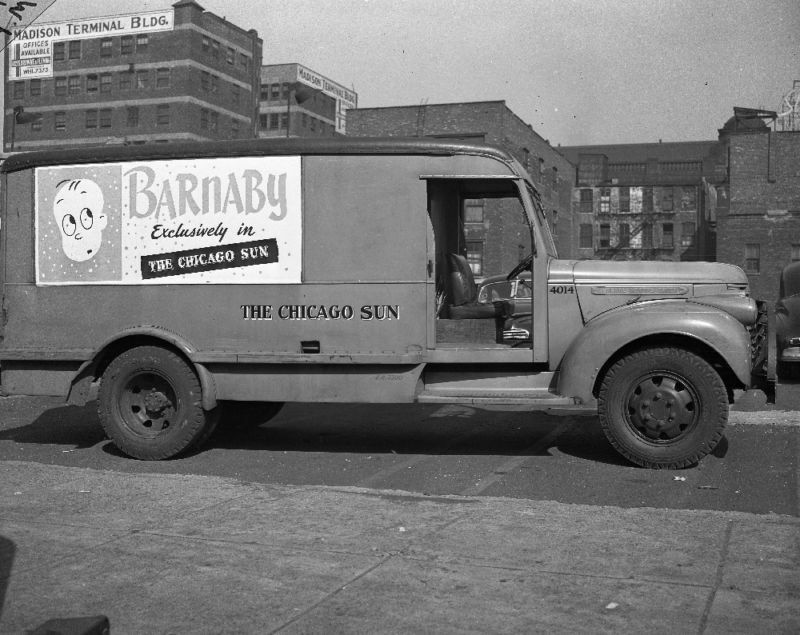 “Barnaby exclusively in the Chicago Sun!” Here’s a photo of a Chicago Sun delivery truck in the 1940s. Also, I love the fact that Crockett Johnson‘s comic strip is being used to sell newspapers. Despite the many great strips being written these days (Cul de Sac, Doonesbury, Zits, Non Sequitur, etc. ), you don’t see them deployed to help boost a paper’s circulation. Which is a missed opportunity, I think. Wouldn’t it’ve been cool to see this truck driving down your street? And you’re right, it is a missed opportunity.